Muñoz worked in the Cataloging Department mainly with books, both contemporary and rare, but also with media, both current and obsolete. 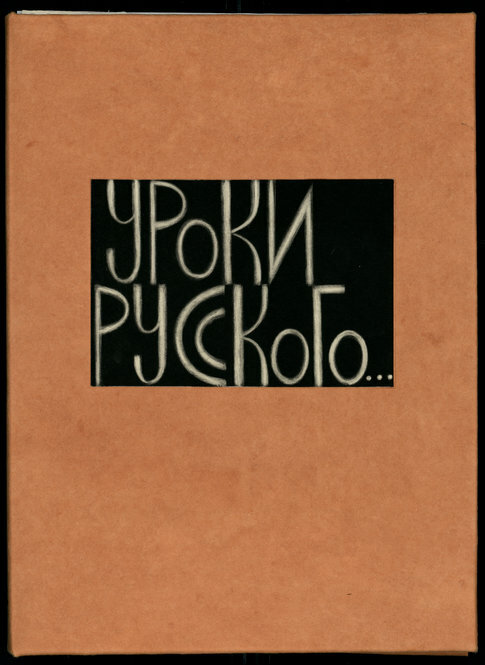 Although the history of artists’ books is as vigorously debated as the definition, artists’ books truly began to proliferate in the 1960s and 1970s, in particular with the idea of the “democratic multiple”—well suited to the social and political climate of the times. 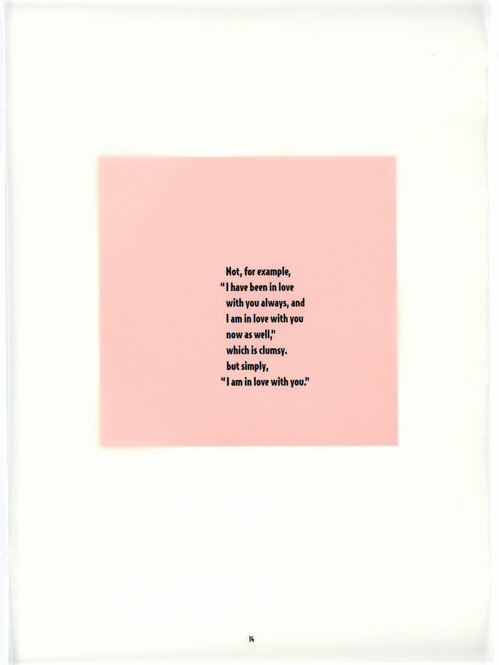 Ed Ruscha’s Twentysix Gasoline Stations and George Brecht’s An Anthology of Chance Operations are just a couple of examples from this period housed at the Ransom Center. 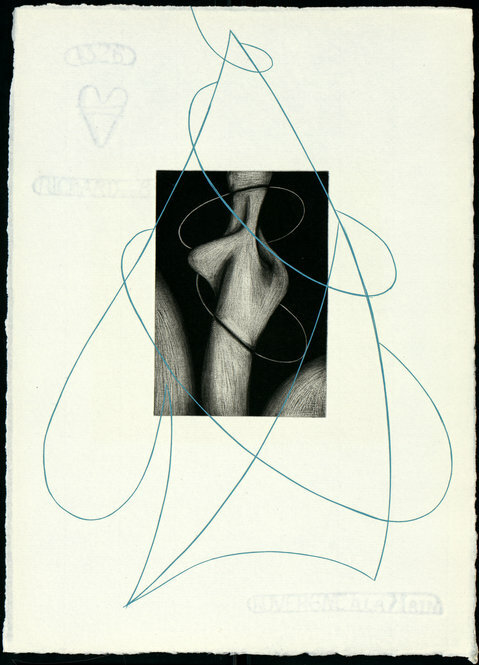 Though it may be difficult to define artists’ books, often times you will know one when you see it because they can be quite unique—like a work of art. 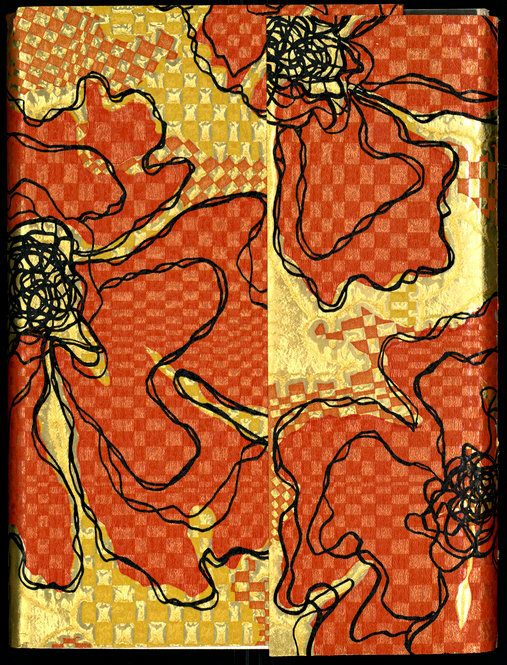 Johanna Drucker in The Century of Artists’ Books offers one distinction as “books made as direct expressions of an artist’s point of view, with the artist involved in the conception, production, and execution of the work.” A few of the more “artful” examples in the Ransom Center collection include Clair Van Vliet’s Aura and Countercode archeo-logic by Timothy Ely. Some of the characteristics present can include plates or illustrations cut from wood, linoleum, stone, or even metal; the bindings can be made of leather, wood, metal, etc. ; the paper can be handmade, stitched, rolled, cut, or folded; and there is no limit to shape, size, and sometimes even sequence. Some artists’ books are even designed to be shuffled like a deck of cards and read in any order. 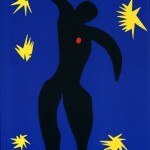 Art, like beauty, is in the eye of the beholder. 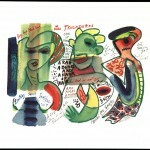 At the Ransom Center there are numerous examples of artists’ books, ranging from Henri Matisse’s famous Jazz to Henry Miller’s heartfelt Insomnia or the Devil at Large to smaller press items like the collaboration of artist Steven Sorman with poet Lee Blessing in Lessons from the Russian. 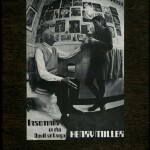 There are even a few gems in the collection that have until now escaped categorization as artists’ books. We are reviewing seminal bibliographies that address the evolving definitions of the genre and plan to revise and expand available resources to make the books in the collection more accessible. 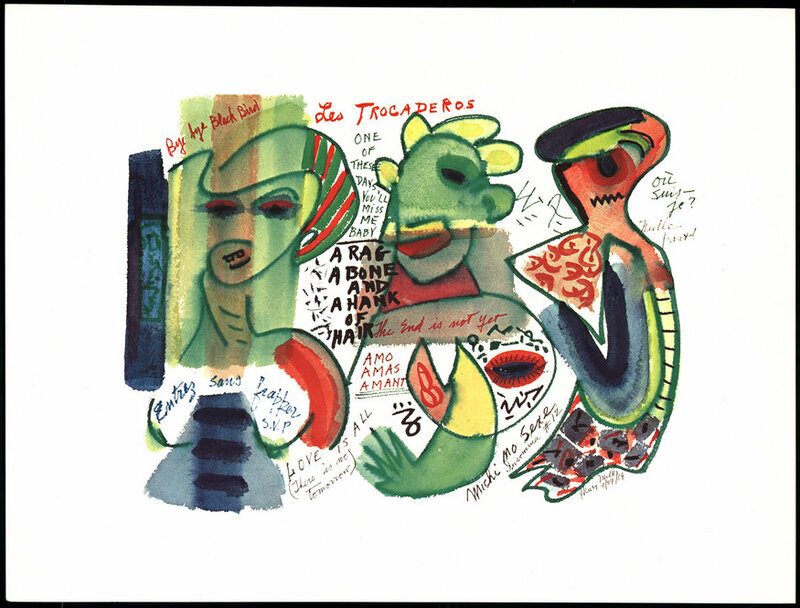 To search for artists’ books in the Ransom Center’s collections, access the UT Library Catalog: type in “artists’ books” (in quotation marks) and limit the results to the Harry Ransom Center. 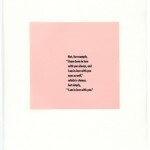 There is also a checklist of artists’ books available in the Ransom Center’s Reading and Viewing Rooms. 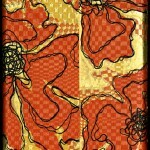 Lynne Maphies also contributed to this blog post. 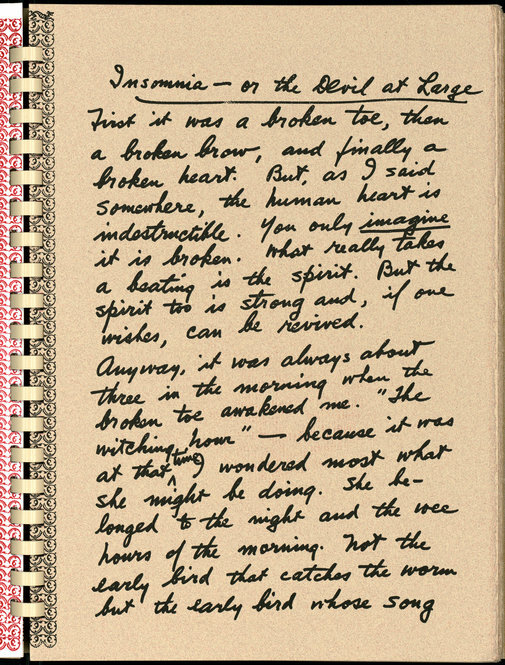 Page from Henry Miller’s “Insomnia or the Devil at Large” (1970). 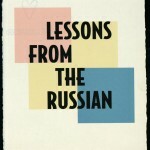 Cover of Lee Blessing’s “Lessons from the Russian” (1999). 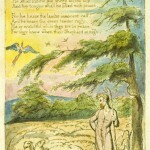 The book was illustrated by Steven Sorman. 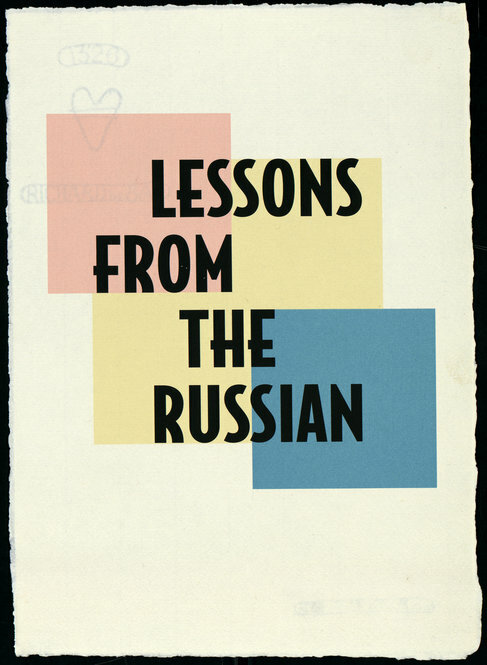 Title page of Lee Blessing’s “Lessons from the Russian” (1999). The book was illustrated by Steven Sorman. Page from Lee Blessing’s “Lessons from the Russian” (1999). The book was illustrated by Steven Sorman. 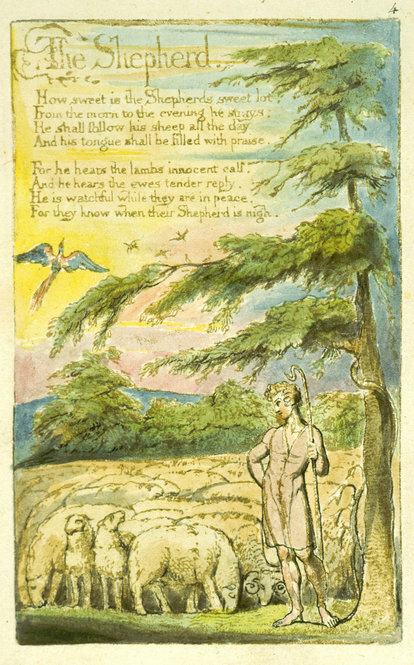 “The Shepard” from William Blake’s “Songs of Innocence” (1794). 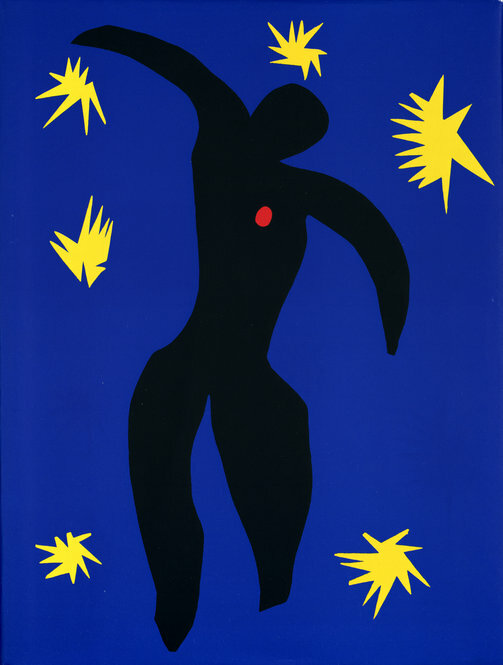 Cover of HenriMatisse’s “Jazz” (1947). 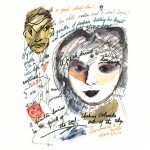 Ouside cover from Henry Miller’s “Insomnia or the Devil at Large” (1970). 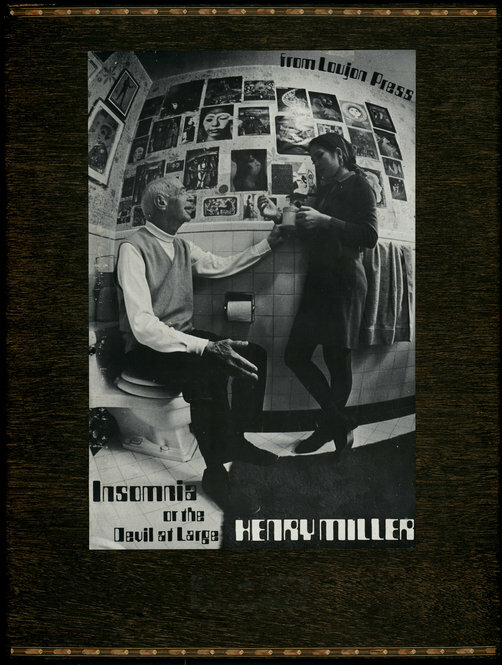 Box case for Henry Miller’s “Insomnia or the Devil at Large” (1970). Books from David Foster Wallace's library. Photo by Anthony Maddaloni. Jacqueline Muñoz, librarian at the Ransom Center, cataloged more than 300 books from David Foster Wallace’s archive. 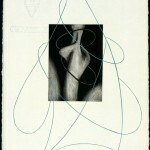 Here, she writes about her experience working with the collection and her personal response to Wallace’s work. I didn’t think much of Infinite Jest in the beginning. My impression of David Foster Wallace’s writing was that it was wordy and unfocused with some seriously flawed characters. Gradually I settled into his use of language, which is quite impressive, and finally at the Boston AA section, I was hooked—certainly on the plot, but even more so on the man behind the prose. All at once, it was clear the length of the story and ambiguity of the characters was Wallace’s vehicle for articulating how unforgiving it is to be human, and how, though various generations may seem vastly different on the surface, they struggle internally with the same issues. I thought, this man is a genius; I want to know him better. 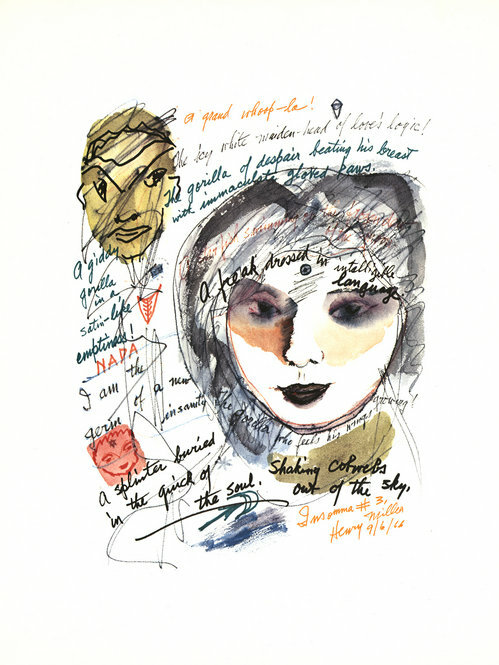 So, I was thrilled to find out the Ransom Center would be acquiring his archive, especially given the description about the extensive annotations to his books. Even then, I was not prepared for what we received. Of the more than 300 titles in his collection, there are maybe 10 or 15 that are not annotated—not simply with underlined passages but ample and personally revealing margin notes. The library basically falls into two categories: novels/stories he taught in his literature classes and books for use in research and self-analysis. Finishing Infinite Jest, I came away with a lot of questions about the origin of some of the characters, as well as theories about the story itself. I think the items in his library, which feel very much like journal entries the way he marked them up, provide some answers. Looking at his collection, one can see that Wallace was undoubtedly a highly intelligent man: a philosopher, mathophile, physics buff, grammarian, pop-fiction reader, lit professor, creative writer, and spiritual seeker. He didn’t merely own these books; he digested them. Cover to cover there are handwritten notes and vocabulary words; he dog-eared pages, annotated the most pertinent passages, and even used the tomes as coffee mug coasters and phone conversation doodle pads. Through his books, one gains a sense of him on a personal, human level—his struggles, unpretentiousness, sense of humor, diligent research skills, and devotion to masterful writing. It’s almost as if he’s still teaching and sharing. Facebook. No doubt you’ve heard of it. But did you know that the origin of Facebook really comes from the concept of a “freshman facebook”? 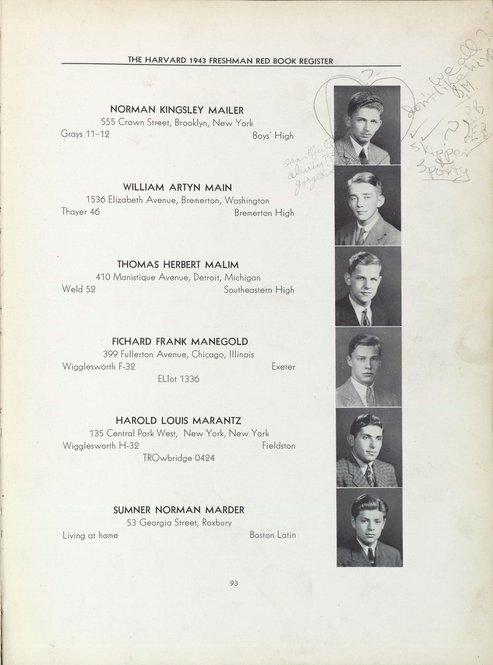 Many universities publish and distribute a yearbook of sorts to its incoming freshman students that includes registrants’ photos and a few biographical details about them. The idea is that this book will be a tool to help students get to know one another in the incoming class. 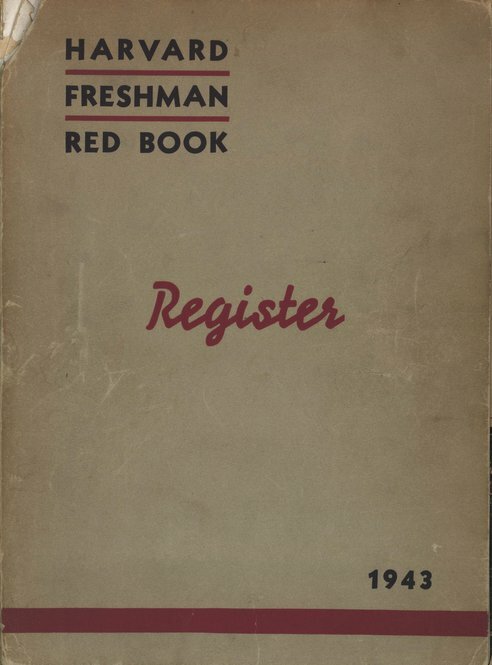 At Harvard University, this directory is known as the Harvard Freshman Red Book Register, and this practice had been in place for three years (started by the class of 1940) by the time Norman Mailer matriculated in 1939. 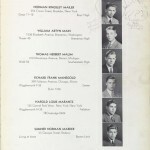 Mailer would graduate in the class of 1943. 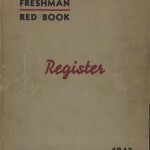 His Harvard Freshman Red Book Register, published in December of 1939, has a companion Harvard Freshman Red Book, which was published in May and is a summary of the first year in college. In his Register you can see the equivalent of “posting on his wall” in comments he literally penciled in about himself next to his photo on page 93 (“Beautiful, alluring, gorgeous”), as well as those scrawled in by his friends and initialed in good fun—we assume (“We all don’t like him”). 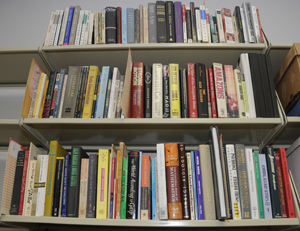 These books are two of the numerous holdings from Mailer’s personal library, which numbers around 900 volumes in the Ransom Center book collection. His library was acquired with his papers, comprising more than 1,000 boxes of materials, by the Ransom Center in 2005 along with another sizeable collection of more than 150 books, the Thomas Fiske collection of Norman Mailer. Within these collections, it is interesting and fun to recreate how Mailer grew from a high school student with a penchant for math, to a college Red Book editorial board staffer and engineering major, and finally evolved into a boisterous and prolific writer who published novels, articles, and poetry on everything from literature to race, feminism, sexuality, politics, art, culture, and society. Among his papers, there are high school and college journals, scrapbooks, grade reports, and even sweet and creative letters written home to his parents. 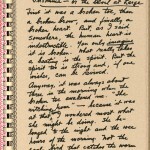 Later materials consist of unpublished stories, handwritten notes, typed drafts, galley proofs, screenplays, and first editions of all his published books.